Toronto Drain and Plumbing Ltd. offers quality drain repair and replacement services to home and business owners in the Greater Toronto Area. For a free estimate, please call 647-348-0123 or 647-834-9404. Plumber's snake is a flexible auger used to remove clogs in plumbing and drains. Most devices consist of a coiled metal wire with space between the coils at the end. The other end is attached to a device with a crank that rotates the wire as it moves down into the pipe. There are many types of augers with cables of various lengths and widths, and with various types of bits attached to the cable. Cleaning drains with an auger can be messy and hazardous. Toronto Drain and Plumbing Ltd. staff know which type of plumbing snake to use in different situations and are skilled in using them. If the auger cannot break up or dig itself into the clog, the clogged section of the pipe may have to be replaced. Our plumber will inspect your drain system and will recommend the best solution to your drain problem. 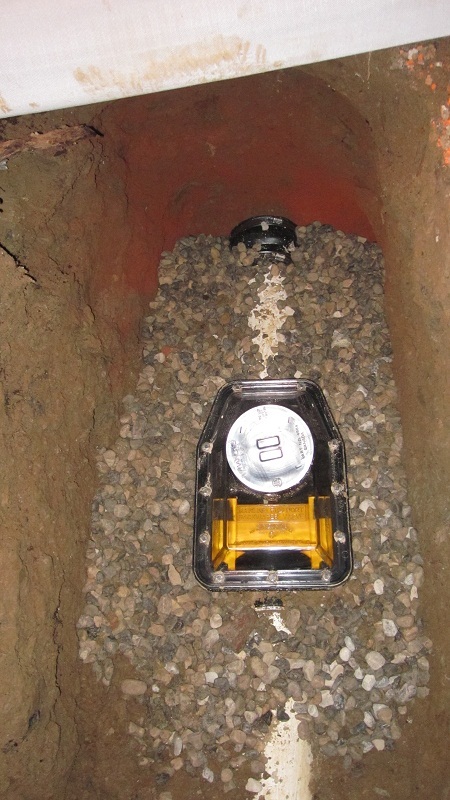 In most cases, the plumber will use a sewer video camera to locate the origin of the problem. It may be the case that your drain problem, e.g., the water back up in your basement, is caused by a clog that is located outside of your private property. If the problem in on the City of Toronto property, our staff will call the city service line and arrange for a free repair. If the problem is caused by a defective or damaged drain pipe on your private property, that portion of the drain pipe may need to be replaced. Often, the problem is caused by tree roots that penetrate and break the drain pipes. We will replace your damaged pipe with a new plastic pipe. Our company offers 25-year warranty on our drain work. If you own an older home, your drain pipes may be of vitrified clay, asbestos or cast iron. Vitrified clay can be damaged by tree roots, one of the major causes of replacement of main lines and sewer lines in older homes. Sections of these pipes can also shift with time and need to be replaced. Older homes typically have cast iron for the stacks and galvanized steel pipe for the runs. Although the durability of cast iron makes it an attractive choice for the drainage system stack, it’s difficult to work with. Galvanized steel also tends to have some limitations. It tends to corrode over time and requires more frequent replacement than other materials. Newer homes use either PVC or ABS for Drain Waste-Vent pipes because they are virtually maintenance free, if installed correctly. To replace what’s broken we excavate and back fill using great care to preserve and restore your landscape. We clean up after ourselves and restore your landscape to its original shape and form, wherever possible. 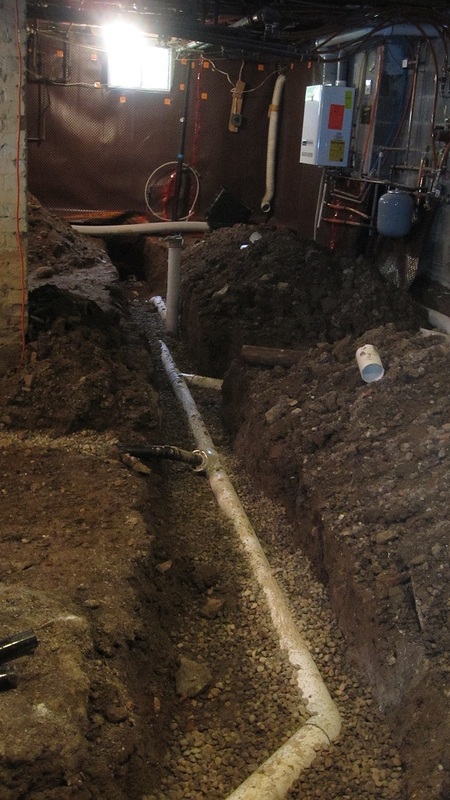 For instance, we will recover the excavation area with top soil and/or grass and reinstall your interlock. In some instances, you may not want or it may not be possible to excavate. We also use trenchless or “no dig” technology, which allows us to better preserve your landscape. Backwater valve (for sanitary drainage system) protects lower located rooms against flooding caused by return flow of sewage waters. 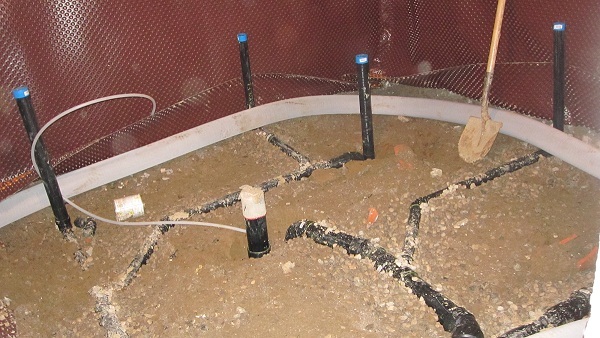 Such risk occurs most often in sanitary drainage systems connected to combined sewerage systems and in rainwater drainage systems. It may be caused by intense rainfall, thaw or flood, or limitations of the city sewage system. Also, backwater valve prevents rats and other rodents entering the sanitary and rainwater drainage systems and, consequently, the building interiors. It protects also against unpleasant smells in case of longer breaks in system use. If you are a Toronto resident you may be eligible for a city grant to install a sump pump and/or backwater valve on your property in order to protect your basement from flooding. For more details, please visit the City of Toronto Basement Flooding Protection Subsidy Program web page. Toronto City Council has approved a bylaw making it mandatory for property owners to disconnect their downspouts. It will come into effect across the city in three phases. Visit the City of Toronto Mandatory Downspout Disconnection web site for details. Toronto Drain & Plumbing disconnects downspouts according to the City of Toronto specifications.